Home \ Blog \ 5 East-Side Bars/Pubs to Visit This St. Patrick’s Day! 5 East-Side Bars/Pubs to Visit This St. Patrick’s Day! 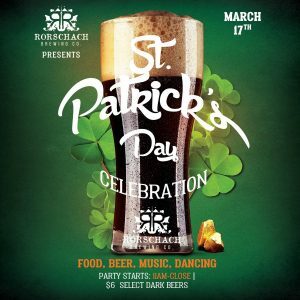 St. Patrick’s Day is this Saturday March 17th- here are 5 east-end bars/pubs where you can go to celebrate! 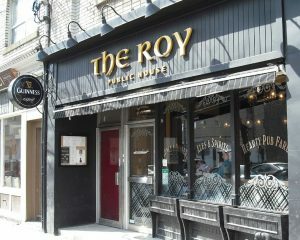 Join Leslieville’s authentic Irish pub The Roy for their St. Patrick’s Day event featuring live music from 3:30PM – 10:30PM. The Cieli Cottage is hosting a St. Patrick’s Day Shenanigans event! 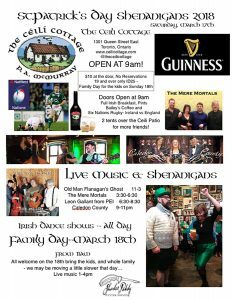 Beginning at 9:00 AM it’s a full day of live music, Irish dance shows and shenanigans. Saturday March 17th will be 19+ however Sunday March 18th will be open to the whole family! 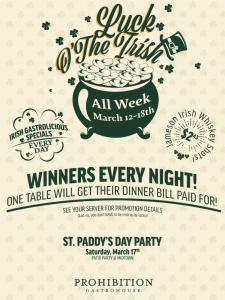 Visit Prohibition for a week of St.Patrick’s Day fun where every night one lucky table will have their dinner paid for! Plus you can enjoy $2.43 Irish whiskey shots, special Irish items on the menu all week long and a full special menu for the 17th. “OUT FOR DRINKS, A MEAL, OR TO PARTY & DANCE THE NIGHT AWAY? You’ll love our selection of high quality booze, our music & videos, and our freshly made food. 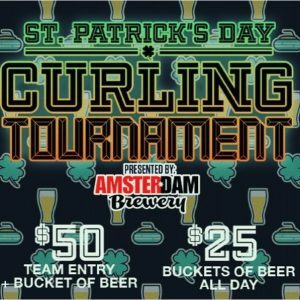 Dundas & Carlaw is hosting a Curling Tournament for St. Patrick’s Day! Visit the link for team registration.The games start at 1:00PM. Visit the Rorschach Brewing Co for a full day of St.Patrick’s day celebrations. Enjoy $6 select dark beer, Irish fare and a dance party after dark.